Focus your stores on your objectives through tasking. And manage strategic execution by monitoring estate-wide task completion. not intuitive to use, does not generate schedules that make sense- have to edit a ton, specific parameters do not save or apply to schedule, mobile app lacking in seeing hourly date and is also even less intuitive. calendar for tasks is too bulky, also not intuitive for programming tasks or following up. wish you could assign certain staff members tasks. we actually started using another program for task management. It is nice to see in the moment sales data, and to be able to customize your metrics to get in the moment results. Scheduling is a lot faster and less time spent in the office. More accountability within the management team with segment success. The menu system isn’t the worst but it could be reworked to be a little more user friendly. Storeforce allows you to analyze how customers are acting in your store and then make staffing and coaching adjustments to suit your business. * We monitor all Storeforce reviews to prevent fraudulent reviews and keep review quality high. We do not post reviews by company employees or direct competitors. Validated reviews require the user to submit a screenshot of the product containing their user ID, in order to verify a user is an actual user of the product. Hi there! 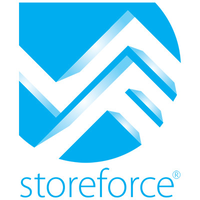 Are you looking to implement a solution like Storeforce?